Mark Edward Anderson of Charleston died after a courageous battle with cancer on January 10, 2019. Born March 20, 1959 in Weirton to Charlie and Susan Anderson; Mark was the second born of five children. He was a 1977 graduate of Charleston High School. Mark was preceded in death by his mother Susan and his brothers Randy and Vincent. Left to cherish his memory are his father and stepmother, Charlie and June of Charleston, sisters Laura Williamson and Mary Anderson (Paula Vineyard), nephew Shane Britt, great nephew Aiden Britt, step-brothers: Mark Bradley (John Langston), Scott Bradley (Cathi). Professionally, Mark served his contractors and friends at Charleston Acoustics for over 34 years in many different capacities. At the time of his death he was a co-owner of the family business. He was well liked and deeply respected in the construction industry for his expertise and knowledge. Marks focus was his customer’s needs and he developed countless close personal relationships with his clients. Marks construction interests carried into the complete remodel of his own personal residence and rental properties. His workmanship and talents were that of a master craftsman. 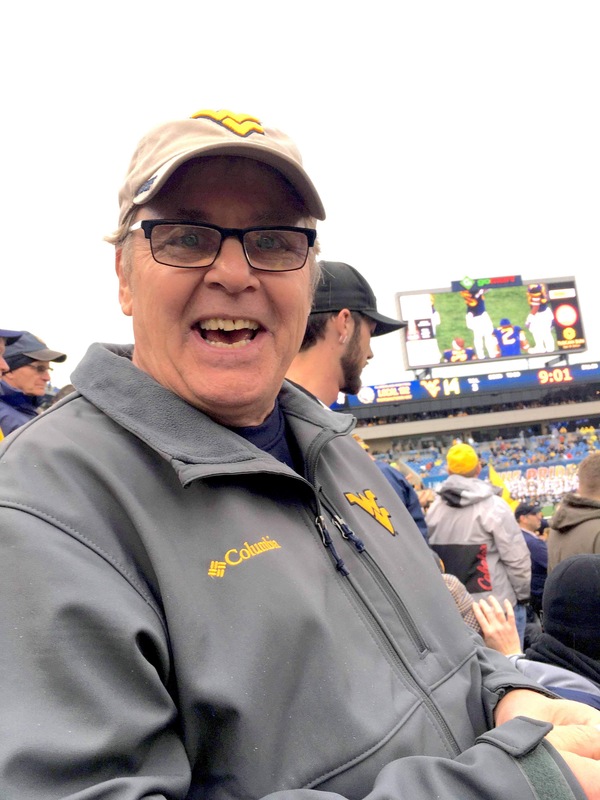 He loved cars including his beloved 1976 Cadillac, playing the guitar, and he was an avid Mountaineer fan. Marks greatest joy was spending time with family. A celebration of Marks life will be Wednesday, January 16 at 1:00pm. Friends may call from 6-8pm Tuesday at the Funeral Home. Entombment will follow at Cunningham Memorial Park immediately following the service. Mark will be deeply missed by his family, friends and colleagues at Charleston Acoustics. Memories of Mark may be shared by visiting www.snodgrassfuneral.com and selecting the obituary icon. Snodgrass Funeral Home, South Charleston, is handling the arrangements. A fine man from a special family. It’s an honor to have known you. Thank You for the opportunity to work with you. You will be missed. So very sorry to hear of Mark’s passing. Wishing the family peace to bring you comfort, courage to face the days ahead and loving memories to forever hold in your heart. My deep condolences to you and your family. As Charleston Acoustics has been a long time A-D Amarok participating member, our hearts are saddened by Mark’s passing. He will be missed. God bless you. Laura, I I was so sad when I heard of Mark’s passing. The family is in my prayers. I’m still recovering from a stroke I had and I won’t be able to attend the services. I was really upset. First because I lost a Friend way too young and AD will miss Mark at the meetings. Charlie I feel for you and look forward to seeing you down the road in person. RIP Mark and God Bless you !!! Mark was my neighbor. I always enjoyed seeing him in the neighborhood. Just saying hello to him brought me the reward of seeing his warm, welcoming smile. For many years, he and I stood across the street from each other on Halloween evenings as we both gave out candy to the hundreds of trick or treaters on Lee Street. He and I both enjoyed seeing the children in their costumes and giving them candy. He had that wonderful smile on his face for the whole time we stood there. I will miss him.